We started cycling out of curiosity more than skill. 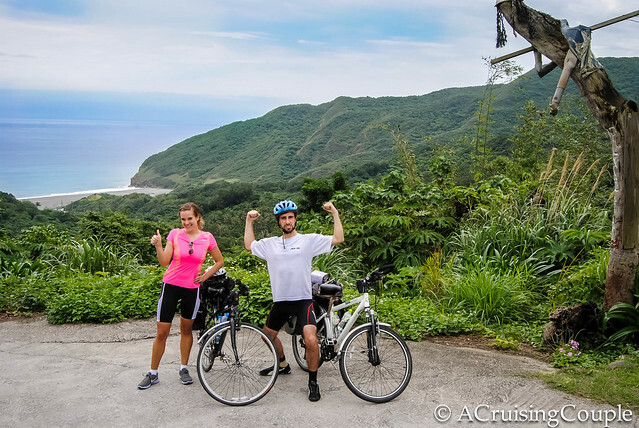 We were living in Taiwan at the time, and on a whim we decided to rent some bicycles and take a three-day, 131-mile journey down Taiwan's breathtaking East Coast. With wide bike lanes, miles of nice paved roads and 7-11s stocked with everything you could ever want, the ride was both enjoyable and fairly leisurely paced. With that experience under our belt, we naively decided to take on a two-month stint cycling over 1,000 miles of Vietnamese countryside. 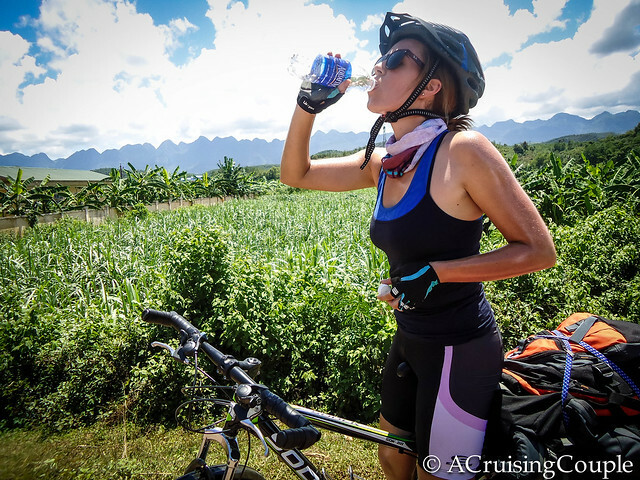 PHOTO: Cycling Down Taiwan's East Coast. Many avid cyclers will want to bring their own bikes. Those who aren't particular to bringing their own bike along are likely to find something at their destination that will suit them. For example, the Taiwanese bike company Giant has a system set up for one-way self-guided touring. We rented our bikes in one city and were able to return them in another three days later. This is possible as they are able to ship the bikes back to the initial shop using Taiwan's train system. If you're thinking of taking a trip for a couple of days, check and see if there are any options like this available at your destination. In Vietnam we bought our bikes outright and sold them when we were finished before our flight home. If you would like to do an extended trip this option makes more sense. Because it was Vietnam, the price of bikes was actually quite good and we were able to sell them relatively easily when we were finished. This was certainly a cheaper option for us than buying one beforehand and paying to have it on a plane with us. 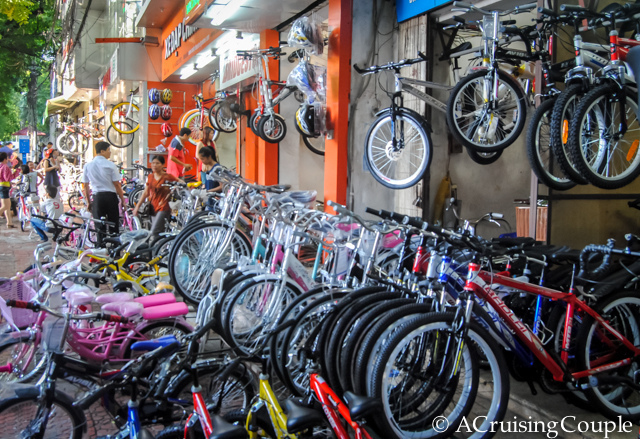 PHOTO: Bike Street in Hanoi, Vietnam. Depending on the terrain you are tackling, you'll want either a road bike or a hybrid. If you're headed to an underdeveloped area with potholes and dirt roads, you're going to want to look into getting a hybrid with a good suspension that can handle a lot of weight. If you're on well-paved roads and traveling light, then a road bike will help you get along quite quickly. Always test drive your bike before you purchase or rent it. Take it around the block and test the gears. Then take it around the block again and test the brakes (disk brakes are preferable to those rubber pinchers). Then go out and test the gears again. Make sure they slide into the highest and lowest gears with no rubbing or grinding. Pinch the tires spokes to make certain they are tight. Also check the tread on the tires to make sure they haven't just thrown old tires on a new bike frame. Adjust the seat so your legs are nearly straight on the downswing. If not already included, see if you can get some forward-facing handlebar attachments for more comfortable options for your hands. Buy your bike a few days before you begin your trip and ride it around town. Make sure no problems occur within the first 48 hours of your new purchase and don't be shy to return to the store for complimentary fix-ups. PHOTO: Our Bikes We Used to Cycle Vietnam. To carry your stuff you'll want a gear rack behind your seat and a couple of bags to put your stuff in. Bring a couple extra bungee cords just in case you need to tie something on top. For cycling at night you need to be seen—and you don't want to leave it to reflective clothing. 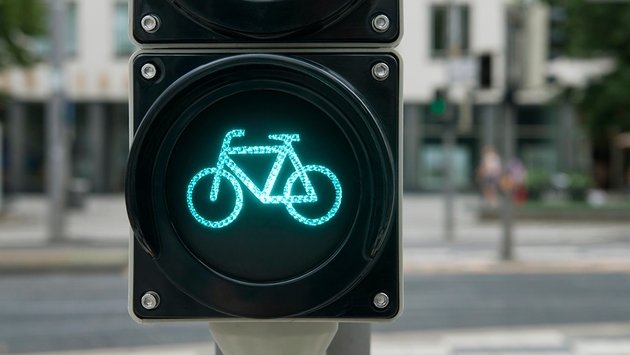 Get a white light for your handlebars and a flashing red light for the rear. Make sure they are sturdy and attach well before you set off. There's nothing worse than getting halfway between towns and your bike disappearing. Although their sexiness is questionable, the comfort is not. The built-in cushioning in the spandex will become your best friend and the padded gloves will keep your hands from rubbing and blistering. PHOTO: Getting a Little Help Fixing a Flat Tire. Flat tires are a reality of cycling, so you might as well be prepared. Make some time before you leave to get familiar with how to change a tire should the need arise. This could be as simple as your cell phone and 3G service. PHOTO: When Cycling for Hours, It's Important to Stay Hydrated. Lots and lots and lots of water. 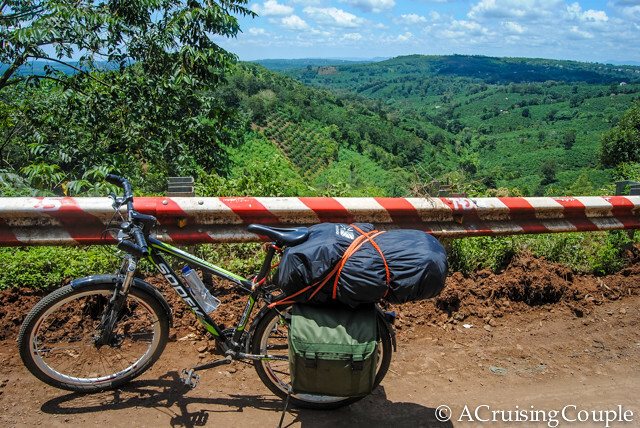 And of course, you can’t begin cycle touring without a sense of adventure. Cycling is one of the best ways to experience a country as it forces you to travel slow, meet the locals, get off the beaten path, and stay in shape. Don’t worry if you aren’t an experienced cyclist—just start slow and get out there to explore!